On Friday (May 16th), my Yu Aoi fandom turned six. 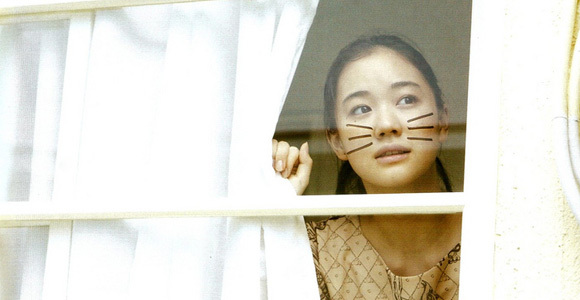 Nobody congratulated me because I didn’t post anything special… but here’s a picture of Yu-chan with whiskers! If I’m not mistaken, it should be a shot featured on the Jul’2010 issue of H Magazine. Despite the slowdown, it looks like 2014 might be a bit more active than it has been :) at least, maybe since 2010. The biggest activities will, of course, be surrounding the release of Rurouni Kenshin: Kyoto Inferno and Rurouni Kenshin: The Legend Ends, which will open in August and September respectively. A film cut of Zipang Punk hit theaters in March , and Haru wo Seotte  will be opening next month. On the TV front, Yu will also be appearing in FujiTV’s remake of Wakamono-tachi (若者たち) that will begin airing in July with a really impressive cast that includes Satoshi Tsumabuki (back on TV since NHK’s Taiga), Eita, Hikari Mitsushima, and Ai Hashimoto. Plus, she’s an addition to the (second) season of Mozu — though it seems to be following the WOW/TBS formula done for Double Face — titled Mozu Season 2 – Maboroshi no Tsubasa (MOZU Season 2 ～幻の翼) that will last five episodes that follows three detectives (Hidetoshi Nishijima, Teruyuki Kagawa, and Yoko Maki) on their quest to get a contract killer known as Mozu. The show will begin airing on June 22nd. 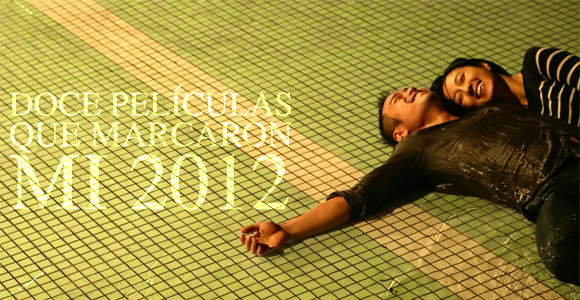 Head over here to read my post of the 12 Movies that Marked my 2012. I wanted to use “Yu Aoi Double Face-ing for TBS/WOWOW Infernal Affairs Jdrama” but I thought it was a little extra too long with the information. So I was checking IMDb, and there was a new credit I didn’t know about, and since I’m not subscribed to anyone’s feed on Japanese entertainment news, and my sources haven’t been as active as they used to, I had no idea what it was about. The show titled Double Face both Teruyuki Kagawa and Hidetoshi Nishijima will be airing both in TBS and WOWOW — one subtitled Sennyu Sousa Hen (Undercover Investigation, TBS) and the other Gisou Keisatsu Hen (Police Disguise, WOWOW) — with Nishijima starring on the TBS version while Kagawa on WOWOW’s. The gig is that it is inspired by Hong Kong’s Infernal Affairs, and will have you watching both as they are the same story but from different perspectives. So maybe if you’ve seen the movie, it won’t be all that interesting — but from the broadcasting POV, it’s an interesting project. I don’t think it’s been done before, has it? Yu-chan will play a role in the WOWOW version, while Wakui Emi and Atsushi Ito will have roles in both versions, and Kadono Takuzo will play a role in the TBS version.